Ahead of the UK launch of her new book on climate change, "This Changes Everything: Capitalism vs the Climate", Naomi Klein talks about saving not so much the world, as each part of it. 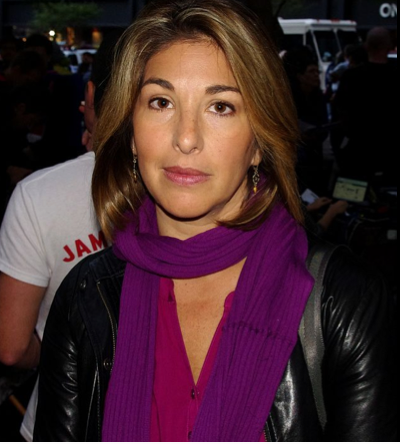 Naomi Klein rose to international acclaim in 1999 by explaining how big corporations were exploiting our insecurities to convince us to spend money we didn’t have, on stuff we didn’t need (No Logo).In 2007 she masterfully dissected the ways those steering the global economy use moments of social and environmental crisis to justify transferring public wealth into the hands of the ultra-rich (The Shock Doctrine). Less-known though are the alternatives Klein spends much of her time witnessing, documenting, and digging into, from the spread of fossil fuel divestment, to community-owned energy projects and resistance to tar sands pipelines. LBB: In your recent piece in the Nation, you wrote: “Because of the way our daily lives have been altered by both market and technological triumphalism, we lack many of the observational tools necessary to convince ourselves that climate change is real—let alone the confidence to believe that a different way of living is possible.” What has helped you to believe that a different way of living is possible? NK: I think part of it is just having been lucky enough to have seen other ways of living and to have lived differently myself. To know that not only is living differently not the end of the world, but in many cases, it has enabled some of the happiest times of my life. I think the truth is that we spend a lot of time being afraid of what we would lose if we ever took this crisis seriously. I had this experience when I had been living in Argentina for a couple of years; I came back to the US because I had agreed to do this speech at an American university. It was in Colorado and I went directly from Buenos Aires, which was just on fire at that moment; the culture was so rich, the sense of community was so strong. It was the most transformative experience of my life to be able to be part of that. And it was so funny because people don’t usually say that out loud. Like, they may think it, but she was like: ‘…I don’t understand why I should care, because, I mean, I have a really great life. I drive to school and I drive to Walmart and I drive home.’ And I just thought, that doesn’t sound like that great a life, you know? Arundhati Roy tells Americans that she feels sorry for them; that she feels like, ‘you’re staying in your house to protect your washing machine.’ The truth is, if you have been exposed to other ways of living that have more community in them, where doors are more open to one another, first of all, you want to shop less, because you’re not shopping to fulfil all these other needs you’re not getting fulfilled. You’re not shopping for identity and you’re not shopping for a sense of community. There’s a virtuous cycle that sets in when we build community; whether we build community in movements or in other ways, because I do feel like we are shopping to fill this void a lot of the time. I always find the only thing that makes you not want to constantly fill that void is if something else is filling it, you’re just too busy, you forget. So that lack of imagination just has to do with what we’ve been exposed to. That’s why Occupy Wall Street, for all its flaws, was such a transformative experience for so many people. Because it was that moment where it’s like, ‘Oh! We’re not who we were told we were!’ It was that feeling of surprise that there are so many other people in this city who just want to talk to strangers and connect in this way, unmediated. LBB: In the same article you wrote, in reference to your own ‘rootless’ life, that the poet Wendell Berry encouraged you to “Stop somewhere. And begin the thousand-year-long process of knowing that place.” How do you see the relationship between a sense of place and the solutions to something as massively daunting as either climate change or capitalism? NK: Since the ‘70s, the icon of environmentalism has been the globe, the earth from space. And it was a really deracinated relationship with the earth, it was literally the astronaut’s view of the planet – this god-like posture – we’re looking down at earth. A lot of the mistakes of the Big Green groups, I think, can be traced to this idea that environmentalism is about this whole planet. So if it’s about the whole planet, you can offset your carbon pollution in Richmond, to a carbon-offset in Honduras. The world becomes this chessboard. I don’t think you can love a whole planet. I think what’s driving the most powerful resistance movements is love of particular places. And those places happen to have the largest pools of carbon underneath them and those places, because of technology, are linking up with other places. That’s why Wendell Berry says, ‘each of our job is to love our place more than any other place.’ And if everybody did that we’d be fine. Nobody needs to love the whole world! LBB: I was in Perth, Ontario recently. In some ways, Perth is just another North American small town, but it is also a place where a strong localism is bringing together a real mix of people; elements of the traditional farming community, hippie back-to-the-landers, off-grid survivalists, Transition Towners, traditional food bank volunteers, alongside those working on more participatory and sustainable ways of addressing the community’s food needs. Do you think this kind of place-based solution has the potential to bridge some of the political divides that have made so many larger scales of change impossible for so long? Also around climate organising, people often find that if you’re able to speak to and revive that conservative tradition of stewardship, it’s an opportunity to cross political lines. And even if those conservative farmers don’t even believe climate change is real, they still believe in the principles of protecting the land and protecting the water, and the responsibility to leave the land better than you found it. So if you believe in that, it doesn’t even really matter if you believe in climate change, because you’re not going to frack your land. LBB: Are there any particular stories you have heard or experienced in your travels that give you hope for us getting out of the current mess? NK: I think the movement that I have found most inspiring in recent years is… the movement against the Northern Gateway tar sands pipeline in British Columbia. That’s not because it’s more inspirational than other movements, I just found it to be – and still find it to be – one of the most positive and beautiful movements I’ve ever been a part of because it is this amazing combination of resisting something that people don’t want, but also just a total celebration of place. I really felt so lucky to witness this process where people in that very special part of the world, really fell more deeply in love with their place and created these incredible coalitions to defend it, like the Save the Fraser Declaration, which more than a hundred First Nations signed. Fighting these extreme extraction projects becomes a real space for historical healing. We use these words and we have these symbolic marches around reconciliation between settler and Indigenous peoples and it’s very empty. But what actually played out in BC is the very concrete realisation among non-Indigenous British Columbians that they are tremendously lucky that so much of their province is on unceded Indigenous land. So that’s extraordinary! I can’t believe how much I’ve seen my country change in such a short time. It’s that Indigenous and non-Indigenous people are fighting for what is most essential – they’re fighting for their children’s health, they’re fighting for their water, they’re fighting for their land and they understand – we understand – that our fates are truly interconnected. So these words that we use, like solidarity and all of this, suddenly become really concrete. It is literally that if we do not deal with this past, of who created this crisis and who is largely responsible and how’s that going to translate into policy and resources, then ultimately we’re all cooked. So what was really inspiring about being part of the launch of that movement was realising that people were so up for this! It was like they were just waiting for someone to ask! I don’t think that this tactic is going to bankrupt ExxonMobil or change everything, by any means, but what I found inspiring was seeing the readiness of large numbers of people to use tactics that are significantly more confrontational than the ones that the traditional green movement had been offering. So I think that that’s a really hopeful sign for the future. LBB: Are there any particular themes or patterns you’ve picked up between these and other sources of inspiration, that you think could offer hints to people wanting to take action themselves? NK: I think another inspiring movement is the rise of renewable energy in Germany. That is a really important case study because this is a post-industrial, Western, large, very powerful economy, that in the past decade has made a dramatic shift towards renewable energy, primarily wind and solar. But what’s really interesting about it, is that it is the small-scale, decentralised, cooperatively-owned aspect of the transition that is fastest-spreading, that has people most excited. That’s an important pattern. Energy democracy is a phrase more and more people are using to describe this sort of phenomenon, where it isn’t just about switching from fossil fuel to so-called green energy, it’s also a power shift in who owns and controls the source of the power, where the resources go. So what is driving the movement in Germany is not just that people don’t want nuclear power, they don’t want coal; it’s that they want to have control over their energy, they want their resources and the profits to stay in their communities. And this is happening in the age of austerity where it’s a big deal if you can actually get resources to communities. So these are very much pro-democracy movements. They’re not just about where your energy is coming from and what colour it is, it’s really about self-determination and community control. And there are ways of designing government policy that decentralise power. So you look at Germany; none of this would be happening if Germany didn’t have a bold national feed-in tariff plan. You couldn’t just do it ad hoc, at the local level. That would not get to you to what Germany has done, which is twenty-five percent of their electricity coming from renewable energy and that’s going to keep expanding. You need those bold policies and you also need to say no to fossil fuels – you need regulation. So you need to have a relationship with government in order to win those policies. That doesn’t necessarily mean you need to be in government, by the way, because German Prime Minister Angela Merkel is no lefty, but the anti-nuclear movement and the climate movement in Germany is strong enough that they have won this, which is extraordinary. Similarly, I look at what’s happening in Spain with this transition from the street movement of the Indignados, to Podemos, a political party that is intersecting with traditional politics, but in a new way. So I think that’s another pattern that we’re starting to see, of finding ways to intersect with policy, with the state, but at the same time to decentralise power and deepen local democracy.